When you execute a Forex trade, you are purchasing an amount of currency, termed a lot. The amount of currency in one lot depends upon the type of account you have. In a standard account, one lot is usually equal to U.S. $100,000; in a mini account, one lot is $10,000. But Forex trading accounts are leveraged, which means you don’t have to own that expensive lot of currency; you just have to control it, and if you do, any profit it earns is yours. To obtain the right to control a lot of currency, you put up a much smaller amount of money in a sort of rental agreement called a margin deposit. In a standard account, to control that U.S. $100,000, you must put up $1,000 of your own money; in a mini account, to control $10,000, you need to put up $100. Trading on the Foreign Exchange market, or Forex, has become increasingly popular due in no small part to its sheer size and volume of trading. There was a time when only the large investment banks and other “institutional” vehicles of finance could play in the currencies market but now it is possible for just about anyone to invest in the Forex. Just as with equities or commodities traders, investors in the Forex need some type of strategy when deciding on currency pairs and when to enter and exit a position. Scalping is one of many Forex investment strategies and at its simplest involves anticipating short-term movements in the exchange rates. Forex scalpers are like the polar opposites of those who use the buy-and-hold approach because they are only looking to enter and exit a position quickly—make their profit and run. 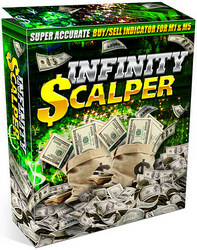 Scalpers may only hold a position for a few hours—and in the extreme cases—or mere minutes. These “hit and run” investors look for market indicators specifically known to affect rates on the Forex. Who Trades In Forex Market? Jumping into Forex trading with both feet? Here are five must-know tips on forex trading and mini forex to help you stay afloat in the Foreign Exchange currency market. Educate yourself about the currencies that you trade. The more you know about the country whose currency you’re trading in the forex market, the more accurately you’ll be able to predict which way the money will move. Pick a forex trading system – and stick with it. Savvy forex traders will tell you that system is everything. Forex trading by system lets you automate your trades based on history, following the traditional peaks and valleys. 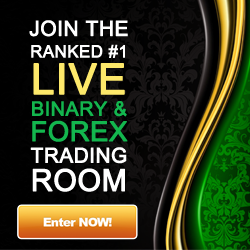 Set up a system and live with it to make the most of your forex trading. If you are doing forex trading, then you know the importance of a good forex broker. This is especially true if you are just starting out and do not have a lot of experience. A good forex trader will work with you and provide the information and tips you need to make the best trading. 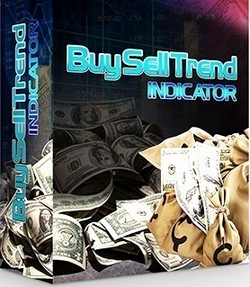 Even though your forex broker will be offering you tips and advice, they do not make the final decision to buy or sell. You do. Therefore it is important you know what you want and make your own decision. It is ok to ask a lot of newbie forex questions to your broker if you are new to forex trading but make your own mind and accept the results. Forex stands for Foreign Exchange; it is a global market for dealing currencies at floating exchange rates. The foreign exchange is world’s biggest currency market, on an average everyday dollar one to two trillion is traded in the foreign exchange. The trade is mostly done over the internet and telephone lines. Online forex trading is a fast, safe and easy mode of investing. It offers huge returns like twenty to thirty percent every month, yes unbelievable but truth, however that’s only in some cases and you need a lot of experience to be able to extract that amount of interest! There is no fixed centre for the trade so all the trade is done over telephone, internet and fax. The foreign exchange trade witnessed a massive boom only after online forex trading systems were introduced, internet and telephone has helped the trade grow from $70 billion a day in the 80s to around $1.5 trillion to $2 trillion today. Rule one is never risk more money than you can afford to lose. No trader is perfect, you are going to have losing trades. There is no system you can learn that wins all the time. So expect to lose some money. Rule two is to cut your loses short and let your winners compound to greater gains. The secret to not losing your shirt is to use stop loss orders consistently and not let your emotions rule your trading. It’s better to lose a little and get out of a trade than to hope that things will turn around and suffer a devastating loss. If you are using the proper techniques and strategies on how to trade, you can usually tell right away if your trade is going in the right direction. If it’s not, get out of the trade. There are always more opportunities to get into the market and try again. So be a smart trader, not an emotional one. Yes, it’s true, you can trade the forex markets for free and using the same state-of-the-art software packages that professional Forex traders, around the world, are currently using to make real-time, live currency trades. And you can also experience the same dynamic market action and go through the same process of making decisions based on breaking news, reacting to charting patterns, and tracking ones performance the same way professional Forex traders do. And all this can be done even if you don’t put any real money into your account, you won’t see any difference in how the market behaves and how you react to the market. 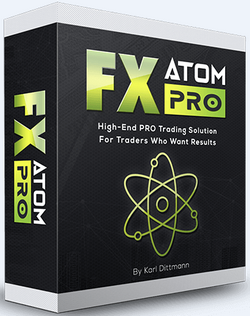 In short, at some point, every new forex trader needs to start Demo-trading.